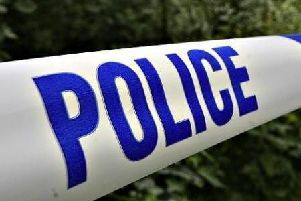 A man was stabbed in a village road rage attack. Surrey Police is appealing for help following the stabbing in Saxbys Lane, near to the junction of Haywardens, in Lingfield. Police want to speak to this teenager in connection with a road rage attack in Lingfield. Picture: Surrey Police. A spokesman said: “The victim was driving towards the village when a black Ford Galaxy driving in the opposite direction blocked the road and wanted the victim to mount the grass verge. “After he declined to do so, a teenage boy exited the rear door of the Ford and stabbed the victim several times in the arm with a sharp metal implement through the driver’s window. The attack happened between 3.18pm and 3.22pm on January 10. The victim suffered two 1cm puncture wounds and was given medical help by a resident and an ambulance crew. Investigating officer PC Megan Williams said: “This was an extreme reaction to road rage so we’re appealing to the public to help identify the two women and teenage boy in this photo and e-fit. The female driver was white, in her mid-30s or 40s, of a large build with light brown, mid length hair. The female passenger was white, in her 30s, average build and had long blonde hair. She spoke with a South London accent. The teenage boy depicted in the e-fit was white, approximately 16 years old, around 5ft 7 inches tall, of average build with short, straight mousey brown or fair hair. Anyone with information should contact Surrey Police on 101 (999 in an emergency) or http://surrey.police.uk/TellUsMore, quoting reference PR/45190003357.